David Le/Gloucester Daily Times. 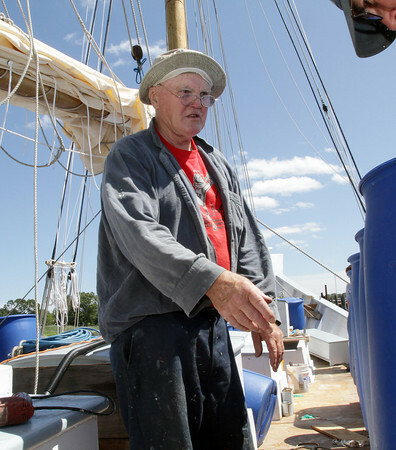 Charles Burnham, father of Harold Burnham, talks with Bruce Slifer (not pictured) about barrel placement in preparation for a coast guard stability test on Monday afternoon. On Wednesday evening the Schooner Ardelle will make a trip to Maritime Gloucester. 8/22/11.